There is for cubes with two holes, and three cylinders, 7 meshes in total, and the bones. 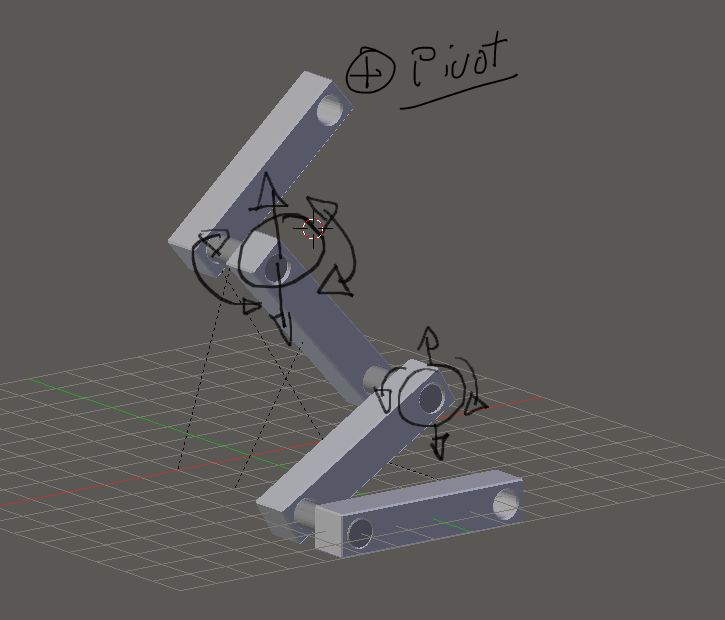 I don't know how to respect the rotation around the cylinders as pivot for the cubes and move that cylinders on the Z axis, to create a "robotic arm" movement. Enable a complete IK Chain from the top pivot bone to the last moving bone, then, in the Inverse Kinematics bones tab, lock all rotations on the little "Cylinders" bones, and lock all rotations except the axis you need on the big "Cubes" bones (in my example, Z axis, enable axis visualization if needed). Not the answer you're looking for? Browse other questions tagged rigging bones or ask your own question. Can I rotate multiple bones at once LOCALLY, without unparenting every single one?